Is this on the remote, or on the TV? I did that, but it makes no difference. I turn on the TV and the N&O logo appears, shortly by the picture. A good ten seconds before the tv is in place. Thanks guys. I really love it too. And what's that, a Cartier watch (it's blury on my phone) ? Yes it’s the Louis Cartier ronde. I should take it out of that little case. I don’t wear my Cartier or Hermes as I wear my Apple Watch every day because of my fitness regime. The oak cover is really solid. Love it. Would love them to do an oak beoremote one. 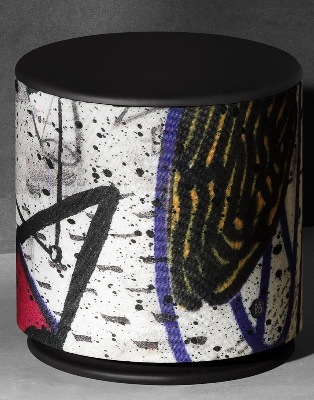 Flower pots new by Bang & Olufsen. See them at your dealer. So today I welcome a new family member ...... Beolab 19 to join its brothers the twins- BL18s. The BL19 really takes the overall sound to another level. It is actually a loan from the shop (thanks Nick @B&O Sheffield) until mine arrives in a week or two - it was ordered today. But I think that’s ok for the Flash thread. Beautiful! You will love the Core and the Essence Remote. I also have a Beosound 5 and recently added a Core and Essence Remote. Already loving it Razlaw. Very tactile and looks really good. Duels, even your BL18 looks lovely. They are walnut yeah? Cheers Michael. They are oak actually, as is the floor, but they do look darker with the lighting at night. The 19 has really made a difference. The 18s themselves sound even better and have real clarity in the mids and highs. I tried a 19 once before and it didn’t seem to do much. But I had set it up myself. This time it was clearly done properly by my dealer on a week-long home loan/demo. In less than 24 hours I had placed an order. I’m a very happy chap! Some of my B&O gear I use for the turntable. The 4000s in silver are stunning! What a pretty room! Lots of silver looking really good. Gain is halfway between 0 and maximum. Wireless (I use the transmitter 1). I was surprised to see the low pass filter set to “off”. I thought you had to adjust the the filter to match the main speakers. However using the transmitter 1 on its 2.1 setting clearly sends a different signal to the BL18s than its does compared to the 2.0 setting. So perhaps the bass is managed between al three speakers in this way. In any event it sounds best like this. I’ve played around with the LPF but can’t make it sound as good. How B & O will solve the connection task weth staffeliet, wait to 2019. 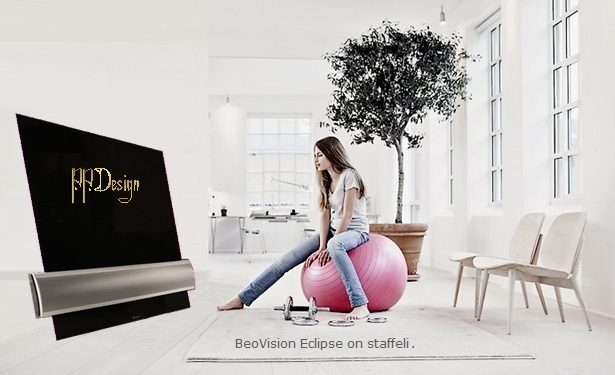 So vill B & O's launch 'NEW' Eclipse. If they still have 2016 panels left. Thanks everyone, appreciate it. I use 25 hue lights in the loft and I find with all the white and metal the colours from the lights reflect nicely and completely change the tone and feel of the room in an instant. Did Sheffield also loan you the (antique) Edge behind the coffee table and against the wall ? My Avant 55 is not due yet ——— performs well, soundwise and picturewise (better than my eyes). Ha. Maybe I’ll mount it sideways on the wall. I did however get my first look at and listen to the edge a couple of days ago. Flippin’ impressive piece of kit and looks really good in the flesh. Awesome sound. Love the look, slightly futuristic and the Wegner flagline chair adds to that look eventhough it was designed in ‘50s. Have added a set of penta to the collection , have my work cut out....foam rot, and new acoustic cloth.